Written by Ivana McConnell on June 27, 2017 . 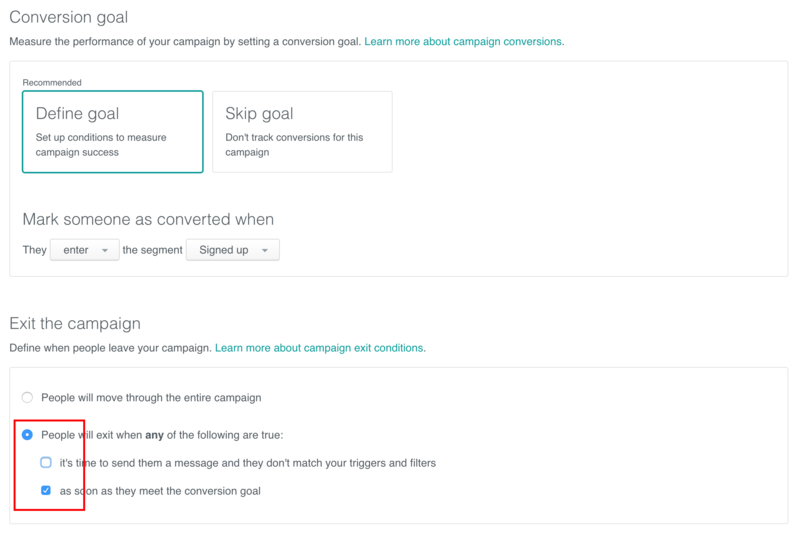 You’ll see the new Goal & Exit page as part of your campaign’s workflow: In red is the new ‘Exit campaign’ feature, where you define your exit conditions: when a user will leave your campaign. Remember that when you want people to leave when they meet the conversion goal, you’ll have to define one before you can save the exit condition. 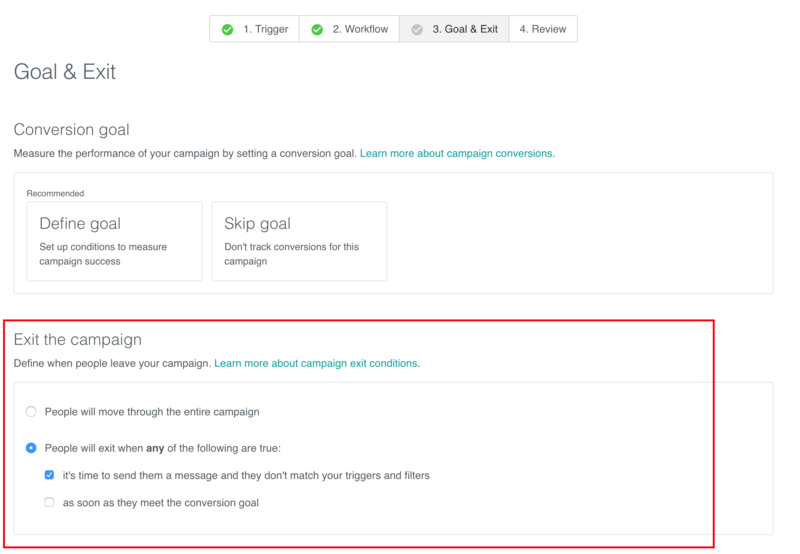 This feature is part of a greater goal to give you more visibility and control over how your campaigns will work— not just when people will enter them, but also when they leave! If you have any questions or feedback on exit conditions, drop us a line! Questions, feedback, or need a hand? We’re here for you at win@customer.io. !